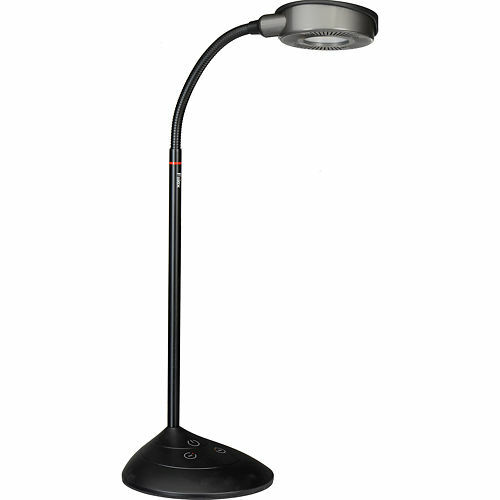 High quality LED print viewing lamp with four colour temperature settings and ability to dim the light down to 20%. 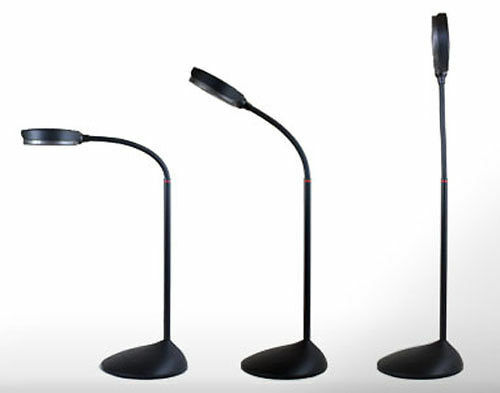 We've recently added this new light to our range as customers have been asking for LED based products for a while. And LEDs are finally getting there with respect to colour accuracy, offering similar performance to our existing Grafilite option in terms of CRI (Colour Rendering Index, or put simply, overall colour accuracy) - whilst being more power efficient, offering longer lived globes, and outputting very little heat. And these offer dimming and switchable colour temperature, too! 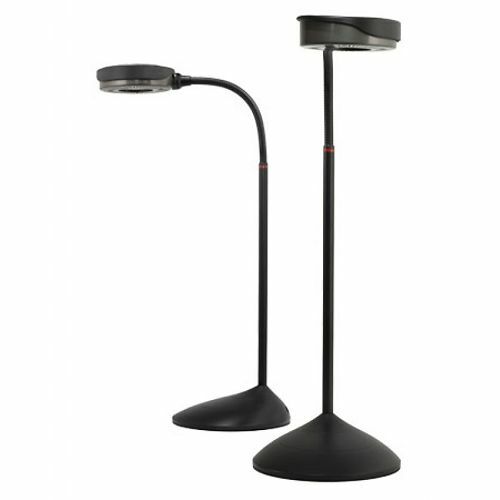 So that makes these a very simple solution for print viewing, and an excellent general purpose, high quality task light. 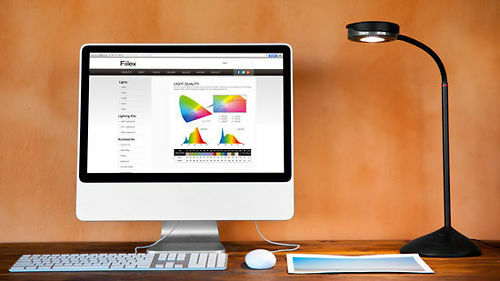 Let Fiilex V70 LED Viewing Lamp transform your desk into a color viewing workstation. At a fraction of the size and cost of traditional viewing stations, the V70 offers the same clean D50 and D65 light used by professionals to evaluate and compare colors in prints, paints, and fabrics. 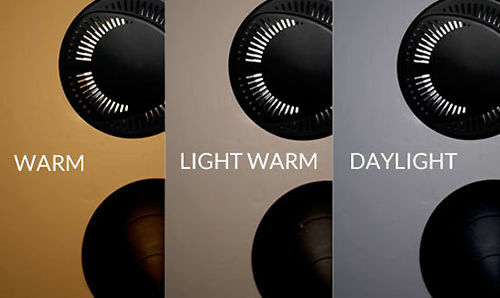 Its high CRI guarantees that your colors will look beautiful, and four color temperature settings (3000K, 4000K, 5000K, 6500K, accurate to a few hundred kelvin) allow you to assess your work in a variety of lighting conditions. The V70 includes a low profile Dome Diffuser and is compatible with many other Fiilex accessories, giving you even greater versatility in image viewing. 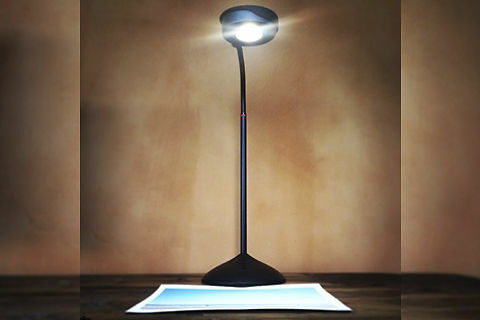 Operated by three touch controls, this sleek lamp allows user to turn the light on/off, dim the light smoothly, and change the color setting. Streamline your color-critical workflow with the V70, the perfect addition to the modern image maker's office. Hand curated articles, links and downloads to help you get the best from your Fiilex V70 LED Color Viewing Lamp.